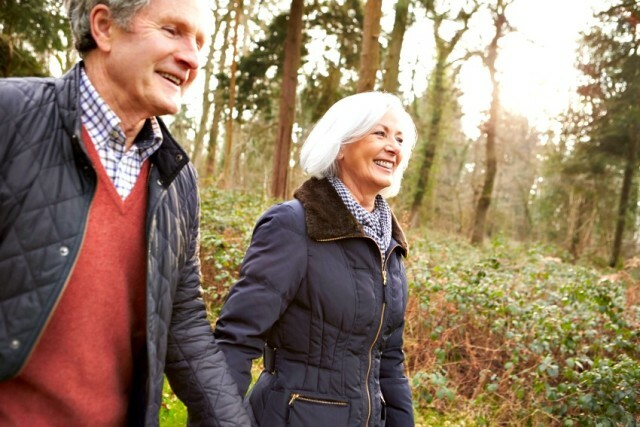 Medigap plan G is one of 10 standardized Medicare supplement plans offered by private insurance companies. These standardized Medicare supplement plans are designed to work with Original Medicare to cover what Medicare does not pay in full. Typically this is about 20%. Plan G is one of the most popular of the 12 supplement plans available. The reason why Plan G is so popular is because it offers a very reasonable premium compared to what it covers. Compared to Plan F, Plan G has much lower premiums and the ONLY difference between the two plans is an annual deductible of $185 that is not covered by plan G.
There are no copays associated with plan G. If you see a doctor 100 times throughout the year the most you will ever pay is $185 for the year in 2019. This of course, assumes the services you received are approved by Medicare. There is no supplement plan available that will pay if the service you receive is not approved by Medicare. 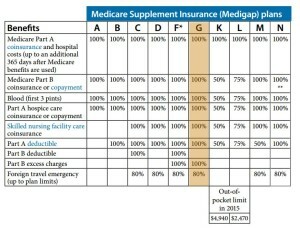 The chart above shows what each Medicare supplement plan covers. 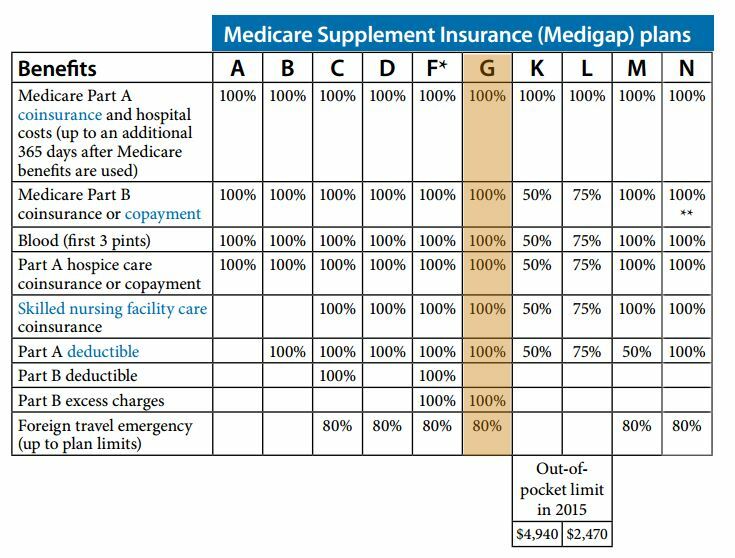 As you can see plan G covers everything that is left over by Original Medicare, with the only exception of the Part B deductible. In 2018, the Part B deductible is $185 for the year. $185 is the most you would pay out of pocket for the year beside the premium with plan G.
The deductible can be paid directly at the doctor’s office, or after your visit. Some folks may not even meet their deductible. If you only see your doctor for your annual “wellness” visit or checkup then you will not be required to pay the $185 deductible. If your doctor orders additional tests or services that are not covered under the wellness visit then you may be required to pay part or all of the Part B deductible. Why Go With A Medigap Plan G? Medigap plan G is a better choice than a plan F for several reasons. The difference in premiums between F vs. G almost always more than cover the out-of-pocket, Part B deductible of $185. The rate increases on plan G are, on average about 0%-5% per year, while plan F is about 9% per year. Plan F is no longer going to be offered after Jan. 1st, 2020 to people who are not new to Medicare. This will adversely affect the rate increases, making them higher then they have in the past. Overall Plan G is a winner over Plan F, just about every time. In some states, like California, it makes sense to go with a Plan F when you are new to Medicare because you can change Medigap plans on your birthday each year, regardless of your health. However, you can only change to a plan of equal or less benefit. While reading this, you may be wondering, “what the heck is a plan going to cost me?” Because there are many factors that affect the premiums such as age, location, and companies, it is important to contact us at (800) 208-4974 or use our quote request form to compare rates online and find out exactly how much a plan G will cost in your area! In 2019 there is a change to the part B deductible on the Medicare/government level. This change was raising the part B deductible from $183 to $185. You can read more about the change in the part B deductible and the part B premium here. Now you may be thinking; “what if the part B deductible increases again to something like…$500!” My answer is this; when the benefits change on the Medicare level ALL Medigap plans are affected. For example, when the part B deductible was increased to $185 plan F and plan C (the only two plans that cover the part B deductible) had to increase their premiums to cover the difference. After all, we all know the insurance companies are business to make money right? If the government decides to increase the part B deductible again, the premiums on plans F and C will increase as well! Will My Doctor Accept Plan G? Yes! As long as your doctor accepts Medicare he/she will accept plan G. In fact, the only requirement is you go somewhere that accepts Medicare. It does not matter what company you have your plan G, it will be accepted anywhere that accepts Medicare. What Companies Are Best For Plan G? In any given state there are 50 or more insurance companies offering Medicare supplement plan G. Each company charges a different rate for their plan G. Because Medicare supplement plans are regulated by the government and Medicare they must offer the exact same plan G. There is absolutely no difference between plan G with Aetna, Cigna or Mutual Of Omaha. The ONLY difference is the price. It is important to see the rates for every single carrier in your state so you can be sure you are not going to overpay for your plan. How To Compare Rates And Apply For Coverage? To compare rates and apply for coverage give us a call at (800) 208-4974 or use our quote request form to compare rates online!